February 17, 2015 bcalvanocoachingLeave a Comment on Weekly Angel Card Reading for February 16 through 22. Weekly Angel Card Reading for February 16 through 22. 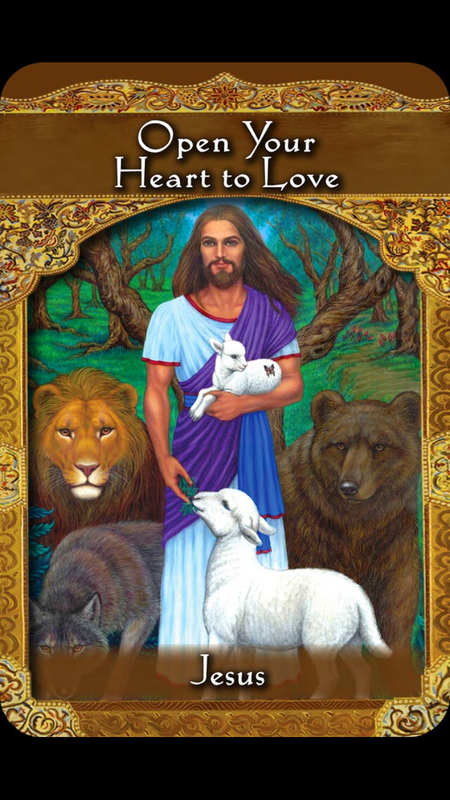 This week I was guided to use the Ascended Masters Oracle Cards by Doreen Virtue. Join me on Monday February 23rd at 1pm EST on BlogTalk Radio with my special guest Tina Marie Bertoli. You can call in for a reading at 424-675-6837. Tina Marie Bertoli is an Angel Therapist®, Medium, and Licensed Spiritual Counselor, communicates with your Angels and Spirit Guides to receive Divine guidance for all aspects of your life. She channels messages of love from the Angelic and Ascended Master realms, deceased loved ones and pets. A Reiki and IET® Master Teacher, Certified Past Life and Crystal Healer, she is also a IKYTA Kundalini Yoga Instructor and host of The Tina Marie show on Blog Talk Radio and the Magic Hour on http://www.12radio.com. Tina can help to remove blocks in your energy field, cleanse and balance your chakras, uncover limiting patterns and beliefs, and receive specific information to help you move forward on your spiritual path. She believes that we all have the innate ability to communicate with the angels and she helps to open that door for all others by developing their own Divine Intuition. Tina’s mission is to bridge the gap between this world and the next by offering guidance, direction, comfort, and love to those in need. For Monday and Tuesday we have a message from the ascended master, Hilarion, “Health and Healing.” You are supported in making life changes so you can continue to heal yourself and others. These life changes may include moving, changing jobs, starting an exercise program, eating more healthily, creating boundaries, letting go of people places and things that no longer serve you. As you make these changes you inspire others to do the same. If you need healing or clearing of energy in any area of your life this week call upon Hilarion. 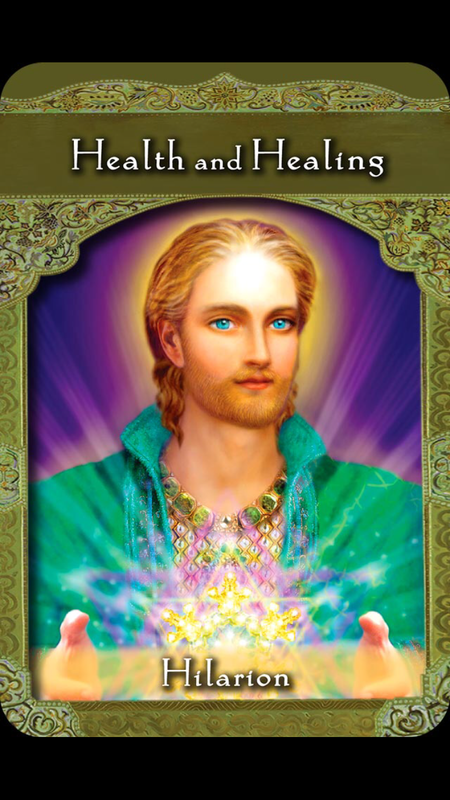 By connecting with Hilarion your task will be lighter and filled with grace and ease. For Wednesday and Thursday we have a message from Moses, “Take Charge of this Situation”. Here we are guided to utilize our free will, stop procrastinating, complaining and get the job done. It follows the first message of identifying an area of your life that needs healing and here Moses empowers us to, ‘Just do it!’ You can connect with Moses for support and motivation to accomplish your goals. We are made of the same wisdom and love as the ascended masters and can bring forth these qualities.too. This week go forth take charge of a situation and bring your unique personal power into full force. For the weekend we have a message from Jesus, “Open Your Heart to Love.” Jesus reminds us that love heals everything. Love is the answer. Loving ourselves and others, bring compassion into your daily focus. It’s easy to close our hearts when we have been hurt, disappointed or fearful. By opening our heart we open ourselves to our deepest wisdom. Take a moment today and check in. How open is your heart in the matters of your life? Do you trust yourself and others? Ask Jesus to assist you in healing your heart of any past incidents or disappointments. He works with all people regardless of background or belief system. Call upon his extraordinary beautiful golden light and loving energy to assist you with the core of your life- your heart. This week we have the ascended masters to assist us in connecting to our power and love. By connecting with their vibrations we bring ease into our lives. Hilarion assists with bringing health and healing to our lives. 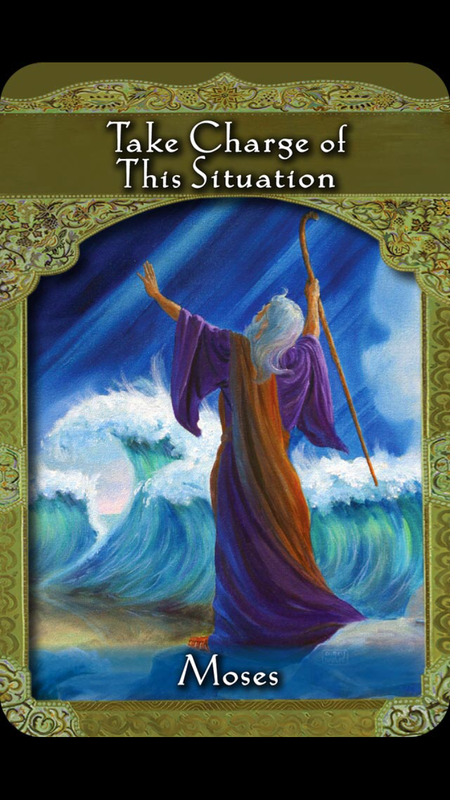 Moses is our guide to accessing our huge potential of manifesting. Jesus powerfully and lovingly guides us to experience pure love in our lives today. It’s a powerful week to live your life with passion! Sessions are by phone, email, Skype barbara.calvano10 or in person in Manhattan. For all sessions contact me for more information! The Romance Angels Oracle Cards: Learn how to connect with the romance angels and receive guidance. Archangel Michael Oracle Cards: Learn how to work closely with Archangel Michael for courage, confidence and strength. Life Purpose Oracle Cards: Learn how to receive guidance on your life purpose. Register for all 4 classes for $150. To register call 917-324-3726 or email bcalvano-coaching@usa.net New dates are being scheduled for these! Stay tuned! Connect with your angels! Live a life of grace and ease! Previous Weekly Angel Card Reading for February 9 through 15. Next Weekly Angel Card Reading for February 23 through March 1.